In 2017 the Board of Directors met to create a fair and equitable system for our families who are unable to meet full tuition. We call this system Fair Share Tuition. Full cost tuition is based on the operating budget divided by number of students. Reduced tuition is 15% of a family’s usable income as calculated by the Tri-Cities Prep Fair Share Tuition Worksheet. Additional students within a family are calculated at 7.5%, 3.75%, etc. The Tri-Cities Prep Fair Share Tuition Worksheet will be posted on the website, accessible to all who are interested. The worksheet has been simplified. It asks for 1040 income + non-taxable income, family size, and partner school tuition. The worksheet will calculate the family’s total tuition which includes registration and student life fees, and monthly payments. Section 1: Full tuition is $9,600.00 (2019-2020). This is an approximate 3% increase over the prior school year and includes registration and student life fees. Additional documentation is not required. Section 2: All Families wishing to apply for tuition assistance are asked to fill out the Tri-Cities Prep Fair Share Tuition Worksheet on the website. Families will submit the worksheet printout and their current year Tax Return(s), and a copy of the W-2 form. For returning families whose circumstances have changed (positively or negatively) as determined by the Fair Share Tuition Worksheet, adjustments to your tuition rate will be made. This is keeping with our commitment that all families pay their fair share. Each year the rate of inflation, as indicated by the Consumer Price Index (CPI), will be applied to all three sections in determining ‘full cost tuition’ for each section. In the coming years, tuition increases will follow this formula, however it should be noted that the Board of Directors may need to increase that percentage due to unforeseen circumstances. **All families receiving a Fair Share Tuition rate (sections 2 or 3) are required to complete the following FACTS form and apply for the Nazareth Guild, and if applicable, the Central Washington Catholic Foundation Grant. These foundations have their own set of questions and requirements separate from Tri-Cities Prep. The deadline for submission is March 31, 2019. Section 3: A family whose usable income is calculated to be negative (-AGI $35,000) will be referred to Brigid Lee by the worksheet. A workable contract with a fair tuition and participation plan will be determined by the Tuition Subcommittee. We recognize that our Fair Share Tuition Worksheet may not capture a families true financial situation. If your family needs additional financial assistance beyond the Fair Share Tuition support, you may request a review of your Fair Share Tuition. Please submit a letter explaining your extenuating circumstances along with supporting documentation including your year-end payroll summary. This information will be reviewed in a confidential manner by the Fair Share Tuition Committee. Our Fair Share Tuition Committee will evaluate factors such as medical expenses, recent changes in employment or other situations. For students whose parents are not married, the Fair Share Tuition will be calculated based on both parent’s income, including any step parents. Each parent should submit a Fair Share Tuition Worksheet. In keeping with our commitment to the vision of St. Ignatius, Tri-Cities Prep charges a tuition less than the true cost of education and provides financial assistance to those qualified students in need. 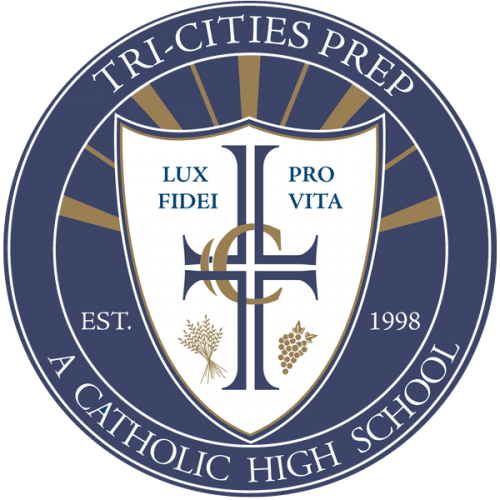 No academically qualified student has ever been declined admission to Tri-Cities Prep due to an inability to pay full tuition. Let us work with you to determine how Tri-Cities Prep can be a financial reality for your family. Fair Share Tuition will also include a participation plan for ALL families who attend Tri-Cities Prep. Participation builds community and community builds a stronger school. With that in mind, for the 2019-2020 school year, we are asking all families to commit to participating in at least 5 activities that help our school run smoothly. For more information regarding our participation plan, please access the tab marked: Tri-Cities Prep Participation Plan. If you have another way that you would like to volunteer your time that is not listed, simply contact Lisa Jacobs at ljacobs@tcprep.org. If you have any questions regarding the Participation Plan, or our Fair Share Tuition plan, please call Lisa Jacobs at 546.2465.